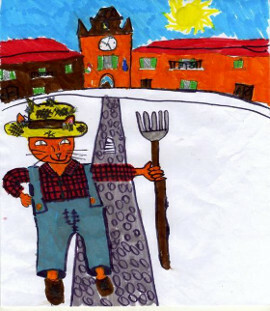 A new Farmers' Market began in Sant'Agata Bolognese on February 5th 2012 in conjunction with the feast of Sant'agata, the protector saint of the town. Sant'Agata is well known for the Lamborghini car factory. The market takes place in two main squares of the town center on the first Sunday of every month, from 9am to 1pm. Built on quality, reliability and natural products, this market is the meeting point for producers and consumers, in the aim of conquering the first link of the distribution chain, the direct contact with the farmer. Info: Servizio Sviluppo Economico del Comune. Open Tuesday 9am-1pm; Thursday 9am-1pm and 3pm-5.30pm; Saturday 10am-12.30am.